There haven’t been a great deal of reviews up on the blog to start the year; apologies! Between working to complete the dissertation, the several conferences I have scheduled this term, and the continuing process of looking for academic employment, I have been kept rather preoccupied. In regards to the later, I have successfully secured a tenure-track position in Medieval and Renaissance literature for the coming year! I feel as if my cup floweth over wth good fortune. In light of that, I thought I might “pay it forward” in some small way by sharing thoughts from my experience for those starting to think about next year’s job search. Literature dissertations typically (although of course not always) include four body chapters and an introduction. Consider the energy, time, research, and writing that goes into producing one chapter the equivalent of what you will put into your job search. As advisors will tell you, the documents you will produce can help you think about your dissertation and, for example, help crack the code to the last chapter or two you may have left to write. Embracing the job search as an extension of your research agenda and interests rather than as something that takes you away from those endeavors will help you approach the task with less resentment, keep that resentment from leaking into your documents, and positively impact your project. I have been writing my introduction to the dissertation while crafting these documents, and the process has given me a great deal of clarity on the logical order of argumentation for that sub-genre as well as what questions readers ask first about my sub-field. Once you can approach the job search as a research task, as a complex and long-term project in its own right, you set yourself up to prioritize and finesse those job documents to the best of your ability. If they are elements that merely get tacked on to the bottom of a never-ending to-do list, you will again begin to resent them and approach them with less than your best. I first started meeting with my Job Placement Officer last July with initial drafts of documents, which meant I started composing in June for a job I would finalize eight months later. I shared my documents regularly with a variety of kinds of readers in and out of my field as well as in and out of academia. I also capitalized on my weekly writing group meetings (a group I first joined several years ago when starting on my qualifying exam reading) to ask for advice, compare different approaches to different types of documents, and as people to look to for moral support. A willingness to revise (the research version of my job letter went through nine versions) I think made the different in the polish of my documents as well as gave me the ability to approach the market with the sense that I gave it my best shot. A particularly daunting aspect of going on the job market for the first time (an expression that makes it sound like a debutante ball) is the number of documents you eventually have to produce for the process. Each seem to be their own sub-genre, with different goals and conventions, which can be exhausting. Again, starting early with a plan to produce all of these document types, rather than waiting to see if a school will ask for say a research agenda and then hurriedly composing one, increases the chances you will be proud of it as well as decreases the frustration, panic, and resentment over composing yet another document. Curriculum Vitae: research and teaching. Cover Letter: research, hybrid, and teaching. Writing Sample: article- (25 pages) and essay-length (10-15 pages). Statement of Research: 4-, 6-, and 10-page versions with and without a bibliography of relevant scholarship for postdoc positions. As a girl, I drove my clarinet teacher crazy with the way I practiced. I would learn passages and love to play them vast, feeling proud of what I thought was a virtuoso display of technique. He could still hear the sloppiness producing by that way of practicing, namely, a lack of polish to the details that didn’t get articulated because I didn’t practice slowly, gradually building up speed. It was so much harder to go backwards, to re-learn after I had already got my fingers to memorize a technique with a certain speed and, alas, incorrectly. This is all to say that, just as you take your time and budget time to prepare and polish materials gradually rather than at the last minute, take your time preparing for interviews. As a one-time musician, this common piece of advice about interviews drove me crazy: don’t over-prepare or practice rote answers, as you don’t want to come off as robotic/inauthentic/unapproachable. The point of rehearsing is so that you cultivate an polished ease and succinctness to your self-presentation, what Castiglione called sprezzatura: a studied carelessness, or making hard things appear very easy. In every interview there will be a question your can’t anticipate and so there will always be an opportunity to think on your feet and demonstrate your creativity and intellectual agility. There is no point in attempting to cultivate such a demonstration by not practicing what you can anticipate. My advice is to come up with various lengths of the elevator pitch of your project, concise descriptions of classes you’ve taught and/or would like to teach, and ways in which those interests fit into the curriculum of the school as it stands. How would you teach our Shakespeare course? How would you teach our British survey course? How would you teach our introduction to literary studies course? How would you teach our first-year composition course? 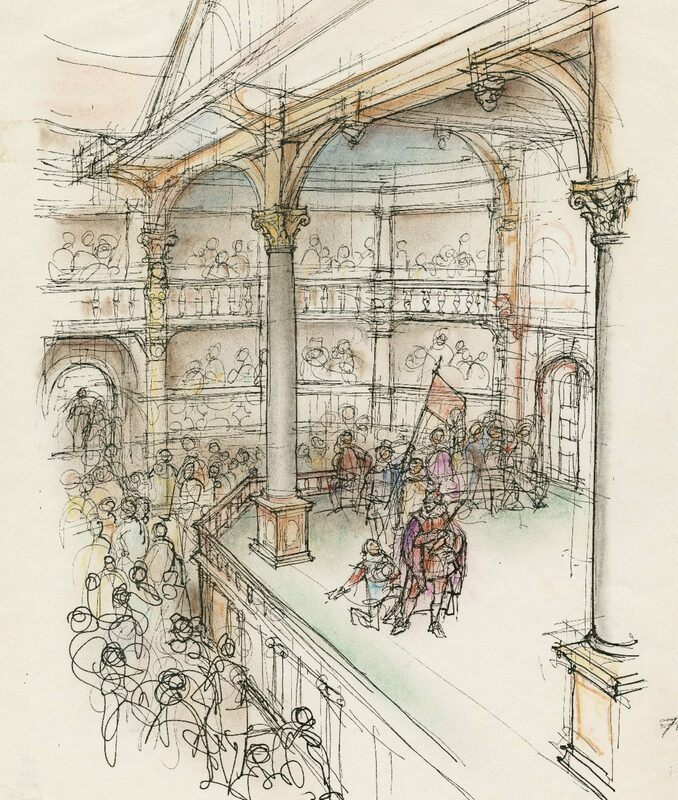 How would you teach our Studies in Drama [or Theatre History] course? Name two courses you would develop for our department. You come from an R1 kind of school. How would you adapt to a campus like ours? These are largely drawn from The Professor Is In as well as other handbooks, my own department’s job search handbook, advice from friends and my brother who has a Business degree and is head of HR at his company. (For his job, he came up with a list of over 100 possible interview questions and answers to each of them. When I found that out, it made this list look like a piece of cake.) Perhaps the best piece of preparation advice I got from a friend also on the job market was to prepare an answer to the question: What five things do I want the committee to know about me by the end of the interview? If you are applying widely—meaning to jobs in your specialty, to postdocs, as well as generalist jobs, which I did and recommend (as it provides more opportunities for at least landing and practicing interviews)—the Wiki is the best place to make sure to catch all the job postings. While a few appeared on the MLA Jobs Information List and nowhere else, the Wiki was the best crowd-sourcing resource to catch things on Inside Higher Ed, Indeed, and others in a timely manner. My anxiety is tied to a great deal of personal impatience. (See clarinet story above.) The fact that a great deal of schools will not contact you about their job search process (when you have been long-listed, short-listed, invited to campus, or moved out of their pool of candidates) leaves you waiting and wondering. I found it actually comforting to use the wiki to track the search process and cross off things for which I thought I was likely no longer in the running. I could remove myself from any additional thought or possible emotional investment in that particular school. or use the opportunity to teach yourself from basic design software to build your own page (example using Rapidweaver). The trade off is that the increase in difficulty allows you to have greater control over the design, elements, organization, and overall story you tell about yourself with a profession website. I have found that there are a lot of great examples of professional academic profiles and blogs you can find just by searching for some of your favorites critics. Twitter (example) is also becoming a good option to provide a simple, efficient, yet effective online profile. Explore published data from major academic associations on the trends in your job market (for History, for Literature, for the AAUP) and subfields. I personally feel empowered by data—by making analytical interpretations for myself rather than absorbing the media’s vitriol around the job market. One revelation was that job availability varies greatly by sub-discipline. For example, as someone working in early modern English literature, I applied for more than fifty tenure-track and visiting assistant professor jobs across the US, UK, and Canada. On the one hand, there were fewer than a dozen positions to which my English Modernist colleagues could apply. On the other hand, there have been more than 230 job calls for those working in Writing Studies (i.e., Rhetoric/Composition, Writing Centers). Needless to say, data matters. Especially at the interview stage, familiarize yourself not just with the school and the region, but also the course catalog. I found this to be the best tool in determining what it was about my application that appealed to the search committee, in diagnosing what they saw that made that suggested I would make a good fit for what already existed, and then capitalizing on it. In interviews, you show that you understand the structure of the curriculum, what your specific teaching responsibilities would be, and that you are genuinely invested in the position on its own merits (and not that it is simply a job to be had). Vick, Julia Miller, Jennifer S. Furlong, and Rosanne Lurie. The Academic Job Search Handbook. 5th ed. Philadelphia, PA: University of Pennsylvania Press, 2016. Kelsky, Karen. The Professor Is In: The Essential Guide To Turning Your Ph.D. Into a Job. New York, NY: Three Rivers Press, 2015. Semenza, G. Graduate Study for the Twenty-First Century: How to Build an Academic Career in the Humanities. New York, NY: Palgrave Macmillan, 2010. As a final word, I found it useful both emotionally and intellectually to reflect on the process in my research journal. Some days you feel small and terrible, and some days you feel as like you’re a rock star. Giving myself time to write out those feelings and trying to pinpoint why I was feeling that way or what part of the job search process made me feel that way would give me a sense of agency over my emotions. This would then help cultivate a feeling of agency over my documents and by extension the application process. Over time, I think this helped to keep me from a sense that I was at the mercy of the slings and arrows of outrageous fortune. This is not to say that the job market isn’t terrible, that there are simply too many highly qualified people applying for an ever-shrinking pool of positions, and that my luck this year in securing employment wasn’t to some degree just that, luck. It is simply a fact of the numbers, and reflecting doesn’t change that fact. Reflecting did give me room to consider the moment, a record to which to compare like moments, kept me from dumping all of my capricious emotions on my colleagues and/or romantic partner, and help me make informed decisions not only about my job documents and interviews, but also when to take a break and step away. Much of the thoughts and advice here are for folks looking for work in English departments and in particular those “pre-modern” (Medieval, Renaissance, Restoration, long 18th-Century) fields. I do hope there is something here of use. In the spirit of the luck implied by the idiom, break a leg! It wasn’t until I was halfway through my dissertation that I started using a citation manager program. Truth be told, I wasn’t entirely sure what this did, or if even these program were up-to-date with the latest CMS or MLA citation styles. Because I use Scrivener as my main word processor, I have kept separate files of my bibliographies with the writing itself. Also, because I work with ‘pre-modern’ texts, I was unsure if these programs could handle the differing and lack of identifiable information. Citation managers are exactly as they sound: an iTunes-esque filing system where you can input the identification information of a text or object to generate citations later. Not so scary. This last point, about archival materials, remains an issue, but now that I have given over to Zotero, I don’t quite understand how I went without a citation manager. This month, rather than providing a list of options to choose from around a single resource, I have decided instead to provide some of the primary ways I use (nay, need) Zotero in my research and writing process. 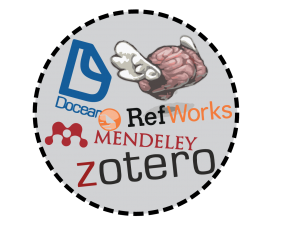 There are many citation managers out there, the top three being Zotero, Endnote and Mendeley. Comparison charts are easy to come by online (including this one from the University of Wisconsin). Cloud Backup: With a free online account you can backup your citations to their cloud. This means no only will it be saved in the (heaven forfend) chance your computer is damaged, but you can also update those citations while on the go with mobile apps like Zotpad. If you have a mobile keyboard for your iPad and write while travelling, like I do, this comes in unexpectedly handy. Copy and Paste: As a first-year composition instructor, I always emphasize that my students learn the algebra of building citations on their own rather than using the incorrect and out-of-date web auto-generators. Admittedly, programs like Zotero are a glorified version of this, but have the money and resources to stay up to date. They provide you the option to copy and paste the bibliography, footnote, or endnote entry of your desired citation style, letting you choose from nearly all the major associations out there. Abstracts: Zotero also provides a field to include an abstract of the document. In my research process, I transcribe notes and quotations from book chapters and journal articles, frequently using them to build summaries of what that text contributes to my current concerns. This has become fragmented across my different Scrivener files for different chapters. Zotero keeps those in one place, acting like a cross-referencable annotated bibliography of my thinking. Organization: If Zotero was just a giant list, you’d still have to search it with a mental map of how all these texts do and do not relate to one another. But no, the programs includes the ability to create (and nest!) folders by project so you can partition your sources. I do this for each chapter, conference paper, and article, as you can copy a citation to more than one folder. It is a simple and quick way to cross-check your bibliographies and see the map of your thinking in citations for a given project. Clickability: Zotero also provides a plug-in for your web browser, installing a button near your search bar that you can click when on an Amazon, Goodreads, or university library page of a book. It will automatically build that citation in Zotero (and if you have the program open, it will save it to the folder you have currently selected). I fret a wee bit about this option as it is often sloppy or incomplete and needs to be double-checked. Frequently this is because the source page itself is incomplete or sloppy, but it is nice to at least have a starter set of data to work from.